Civil War Letters of John W. Derr: Coming Soon...Resumption of "The Letters"! Coming Soon...Resumption of "The Letters"! 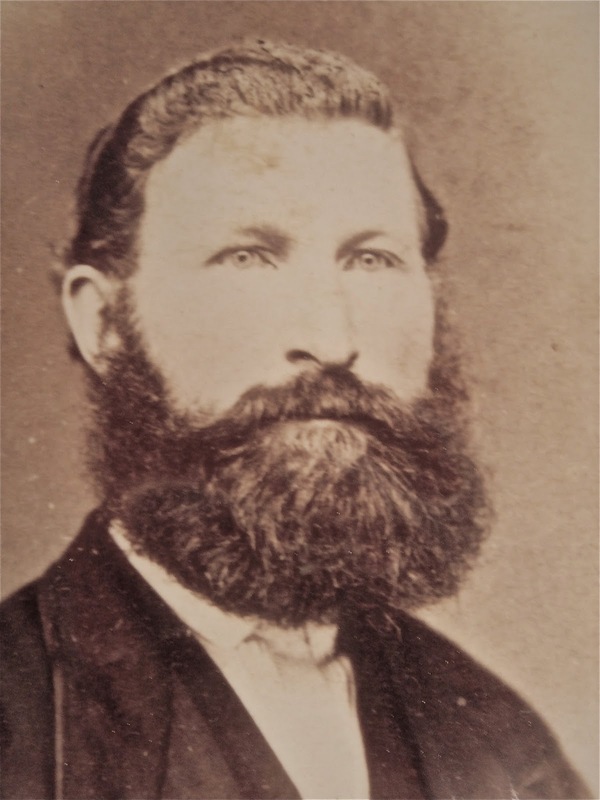 As I wrote about in December of 2012, there is a gap in The Civil War Letters of John W. Derr that spans the timeframe from December 22, 1862 to March 22, 1864. When I received the letters from my father as a 12 year old boy, I noticed immediately that the year 1863 was conspicuously absent. At that point, my father and I queried all the family members we could think of regarding the location of the this missing lot. Unfortunately, we were unable to determine the location, or that matter, whether they ever existed. Given the frequency of John's writing in 1861-1862 and 1864 to the end of the war, it is likely that he wrote during 1863 and the letters were just lost. There is no way to prove this, but it seems like a likely scenario. During 2013, I spent time filling in my blog entries with other information...and frankly...ran out of ideas that had anything to do with anything. My last entry was regarding the WWII baseball bat that I donated to the Mighty 8th Air Force museum in Pooler, Georgia (more on that in the future...there is an update), but then I realized that I was just babbling in blog form....so I stopped. With the 15 month gap in letters coming to a close in 5 days, I decided to send a note out reminding people that are interested that the blogging will resume soon with dozens of remaining letters. I look forward to reengaging the blog and my readers who have been faithful and patient. Thank you. As I wrote about last year...the 48th PVI was sent to the Kentucky/Tennessee theater in 1863 to provide provost duty in support of General Burnsides who was relieved of his Virginia theater command after Fredericksburg. For the most part, the 48th enjoyed a relaxed 9 months in Lexington, KY as well as in some level of engagement in Tennessee, culminating in the reenlistment of the 48th PVI at Blain's Crossroads in the Tennessee. 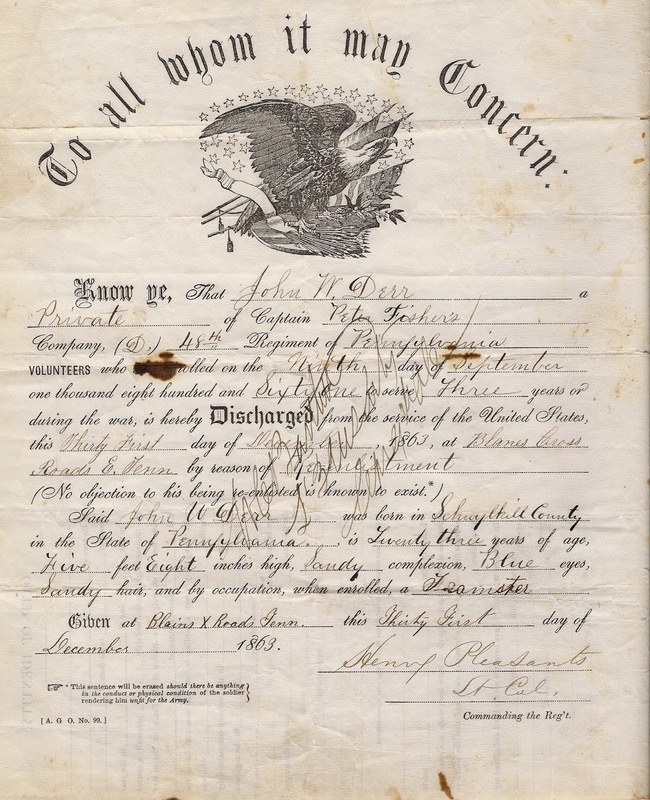 After John's reenlistment on December 31, 1863, he was furloughed along with the 48th until March of 1864. That is where the letters resume. In 5 days, I will post the first letter since December 2012. I look forward to your continued support and dedication to this blog. Please feel free to comment or email me with comments, suggestions and corrections.